I have addressed uncertainty on a number of previous occasions (December 10, 2012; May 16, 2017; January 9, 2018; and other blogs) but some important work came to light recently that put this idea to a test. Most of the uncertainty in predicting impacts of climate change originates from positive feedbacks to direct heating of the planet (such feedback takes various forms, such as increased humidity, melting ice, melting frozen tundra, changes in the ability of oceans to store carbon dioxide, etc.). The impacts of these feedbacks and their extensions vary. Deniers use the ambiguity as an excuse to do nothing, saying that they will take actions to save the world once they are sure of what’s happening. Attempts to show that by the time we can be “certain” it will be too late have met with limited success. Risk management is the identification, evaluation, and prioritization of risks (defined in ISO 31000 as the effect of uncertainty on objectives) followed by coordinator and economical application of resources to minimize, monitor, and control the probability or impact of unfortunate events or to maximize the realization of opportunities. Risk management’s objective is to assure uncertainty does not deflect the endeavor from the business goals. Almost every respectable business above a particular size employs people to estimate risks and advise management on strategies for addressing them. When unexpected disaster strikes, all eyes go to these people: what were their expectations? Did they give management warnings? How did management react to these warnings? Who is in charge of risk management in the US government?! Potential impacts associated with MOC changes include reduced warming or (in the case of abrupt change) absolute cooling of northern high-latitude areas near Greenland and north-western Europe, an increased warming of Southern Hemisphere high latitudes, tropical drying (Vellinga and Wood, 2002, 2006; Wood et al., 2003, 2006), as well as changes in marine ecosystem productivity (Schmittner, 2005), terrestrial vegetation (Higgins and Vellinga, 2004), oceanic CO2 uptake (Sarmiento and Le Quéré, 1996), oceanic oxygen concentrations (Matear and Hirst, 2003) and shifts in fisheries (Keller et al., 2000; Link and Tol, 2004). Adaptation to MOC-related impacts is very likely to be difficult if the impacts occur abruptly (e.g., on a decadal time-scale). Overall, there is high confidence in predictions of a MOC slowdown during the 21st century, but low confidence in the scale of climate change that would cause an abrupt transition or the associated impacts (Meehl et al., 2007 Section 10.3.4). However, there is high confidence that the likelihood of large-scale and persistent MOC responses increases with the extent and rate of anthropogenic forcing (e.g., Stocker and Schmittner, 1997; Stouffer and Manabe, 2003). Given the importance of the AMOC to heat exchange between the ocean and the atmosphere, the varying strength of this system is thought to have major impacts on the global cli­mate, and has been implicated widely in some of the most remarkable and abrupt climate changes of the past2. Direct measurements of the mod­ern AMOC flow rates show a decline in its strength in the past decade3. Reconstructions of the natural vari­ability and long-term trends of the AMOC are needed, however, to put these recent changes in context. In this issue, Caesar et al.4 (page 191) and Thornalley et al.5 (page 227) report on past AMOC variability using dif­ferent approaches. Both conclude that the modern AMOC is in an unusually subdued state, but they diverge in the details of how and when the AMOC’s decline commenced. The researchers found that the strength of the AMOC was relatively stable from about ad 400 to 1850, but then weakened around the start of the industrial era. This transition coincides with the end of the Lit­tle Ice Age — a multi-centennial cold spell that affected many regions of the globe10. Thornalley and colleagues infer that the weakening of the AMOC at that time was probably a result of the input of fresh water from the melting of Little Ice Age glaciers and sea ice. They estimate that the AMOC declined in strength by about 15% during the industrial era, relative to its flow in the preceding 1,500 years. This is remarkably similar to Caesar and co-workers’ estimate, despite the different time periods on which they base their estimates. However, the roughly 100-year dif­ference in the proposed timing of the start of the AMOC decline in these two studies has big implications for the inferred trigger of the slowdown. Caesar et al. clearly put the onus on anthropogenic forcing, whereas Thornalley et al. suggest that an earlier decline in response to natural climate variability was perhaps sustained or enhanced through further ice melting associated with anthropogenic global warming. Nevertheless, the main culprit in both scenarios is surface-water freshening. The two studies are classic examples of ‘top-down’ and ‘bottom-up’ approaches, and so it is unsurpris­ing that there is some misalignment between them. Caesar et al. take the top-down approach: their inferences of changes in the AMOC strength are made from reconstructions of regional and global SSTs that are derived from direct measurements of temperature. It is possible that regions other than the North Atlantic in which there has been decadal-scale variability in SSTs could influence the mean global SST from which the AMOC strength is calculated — although the authors do attempt to quell such doubts by showing that the subpolar-gyre SST anomaly is robust relative to the global mean SST for a subset of time periods (see Extended Data Fig. 2 in ref. 4). 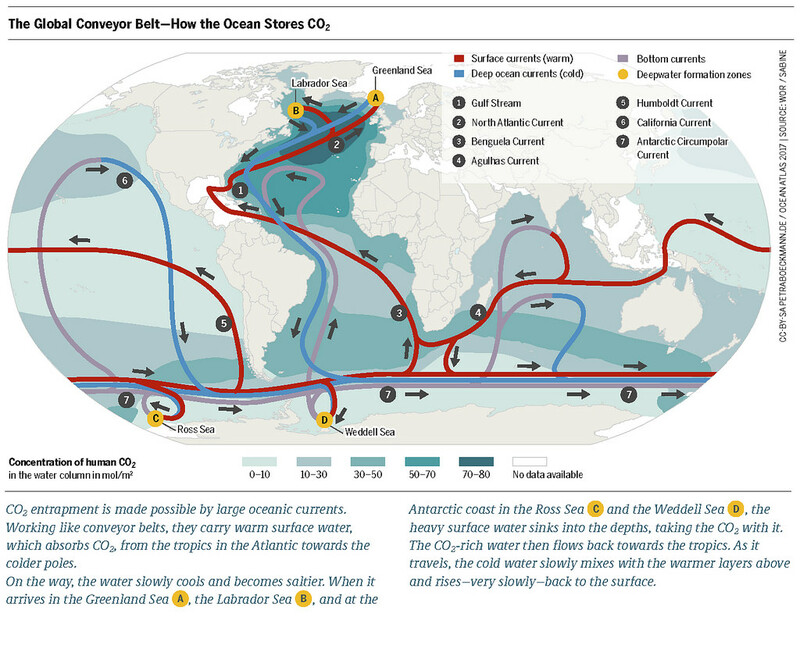 Figure 1 shows a good representation of global ocean currents, otherwise known as the Global Conveyor Belt, with key focus on the North Atlantic current. The figure also provides a short description of the roles that these currents play in the storage of carbon dioxide. Once these currents stop, the carbon dioxide that cannot be stored locally will end up in the atmosphere, adding to the feedback and amplifying the impact. Using two different research approaches, the two papers show that the impacts are not relegated to some distant future (in a human time scale) but are already well underway. There is a difference in their findings (not surprising given the dissimilar methodologies) as to the start of the weakening of these currents, meaning they also present different views of the role that anthropogenic climate change plays in the process. There is no dispute, however, that climate change, with its associated melting of polar ice and homogenization of ocean temperature, has a large role in amplifying this impact. With uncertainty, the worst probable outcome can, and often does, come to pass. Slowing of ocean currents is not the only climate change impact that is “worse than predicted.” The last few weeks brought a global response to new research published in Nature that the polar ice in Antarctica is melting at a much faster pace than previously predicted and is causing major changes in the resulting predictions for global sea level rise. This entry was posted in Anthropocene, Anthropogenic, Climate Change, Sustainability, Water and tagged Adaptation, ambiguity, Antarctica, Anthropocene, Anthropogenic, AR4, atlantic, business as usual, carbon dioxide, certain, circulation, Clean Energy, Climate Change, Climate Change Denial, Climate Change Deniers, Climate Skeptics, CO2, CO2 emissions, conveyor belt, Current, disaster, ecosystem, Emissions, energy transition, Environment, estimate, expectation, Fossil Fuels, Future, Glacier, Global Warming, greenhouse gas, humid, humidity, ice, ice age, IPCC, melt, methodology, Mitigation, MOC, Ocean, polar ice, Prediction, projection, Research, risk, risk aversion, risk management, Science, sea ice, Sustainability, Temperature, temperature rise, uncertain, uncertainty. Bookmark the permalink. Hello,Admin I appreciate you to write this article for uncertainity best worst outcome ocean current. I knowing that you would overcome by the ocean current. I read all the blog article and this is my favourite line of this article However, the roughly 100-year dif­ference in the proposed timing of the start of the AMOC decline in these two studies has big implications for the inferred trigger of the slowdown.